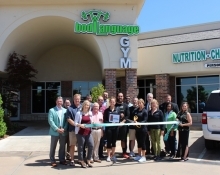 Body Language recently held a ribbon cutting to celebrate joining the Edmond Area Chamber of Commerce at 17200 N. May Suite 600 in Edmond. 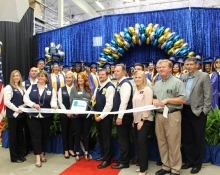 Wal-Mart Supercenter on the I-35 Service Road recently held a ribbon cutting for the grand opening of Wal-Mart Academies here in Edmond. 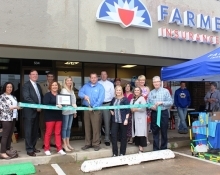 Farmers Insurance – Kyle Vandruff Agency recently held a ribbon cutting to celebrate its grand opening at 532 East Memorial Rd in Oklahoma City. 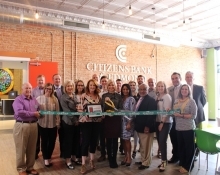 Citizens Bank of Edmond held a ribbon cutting on April 10th to celebrate its renovated main location at 1 East 1st Street in downtown Edmond. 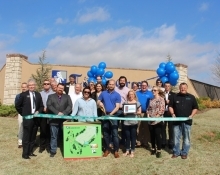 Chateaux at Mon Abri recently held a ribbon cutting to celebrate the grand opening of their second phase at 2500 N. Broadway in Edmond. 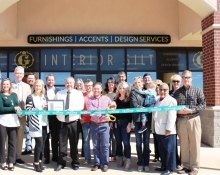 Interior Gilt recently held a ribbon cutting to celebrate their grand opening at 1633 W. 33rd St. in Edmond. 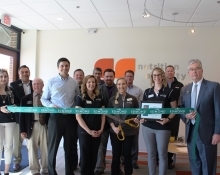 Profile by Sanford recently held a ribbon cutting to celebrate their 2-year anniversary at 1389 E. 15th St. Suite 120 in Edmond. 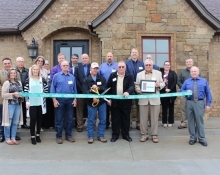 Oklahoma County Farm Bureau recently held a ribbon cutting ceremony to celebrate their new location in Edmond. 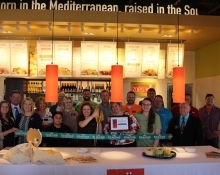 Zoe’s Kitchen recently held a ribbon cutting to celebrate the grand opening of their location at 1700 E. 2nd Street in Edmond. 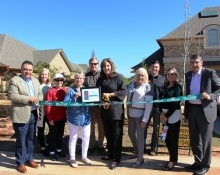 Timbercrest developed by Premium Land recently held a ribbon cutting to celebrate their grand opening at 6933 Timbercrest Way in Edmond.